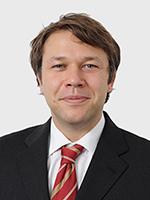 Bernhard Glaser studied Computer Science at the University of Karlsruhe (KIT) and graduated in 2007. After three years as a freelancing software developer and project manager in the medical billing and hygiene software sector, he joined how to organize GmbH in Berlin, a subsidiary of the internationally active medical technology manufacturer Karl Storz, where he worked as a project and product manager. In 2011 he joined ICCAS as a research fellow in the research group ‚Model Based Automation and Integration‘. In 2015 he also joined the research group ‚OR.net – Secure and dynamic interconnectivity in operating room and clinic‘. He is also the maintainer of an open source implementation of Hart and Staveland’s NASA Task Load Index (NASATLX) on GitHub.